Most if not all of the names on Glagoslav’s list will be unknown to English-speakers. This of course is the point. Glagoslav Publications was founded in May 2011, and in the brief period since this independent English-Dutch house, based in London and Den Bosch, is dedicated to releasing works that are “uniquely Slavic in nature” has developed a fascinating list featuring some of the top names in Russian, Ukrainian and Belorussian literature. 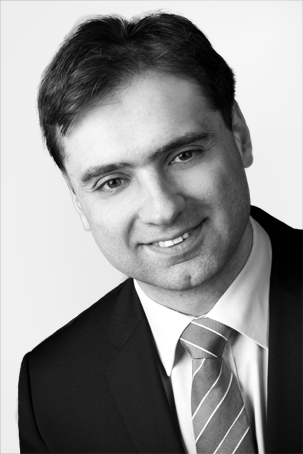 Recently Publishing Perspectives spoke to managing editor and publisher Maxim Hodak, an entertainment and media lawyer turned literary entrepreneur about running a niche press in a climate traditionally tough for translated works. 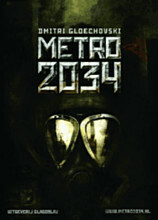 Metro 2034, the bestselling Russian dystopian novel, is being offered in a Dutch translation. “Modern Ukrainian literature is currently at the peak of its renaissance, and the post-1991 period has seen an incredible diversity of literary genres and themes. The Grande Dame of Ukrainian literature is Maria Matios, and her books regularly make the top of literary billboard and are recognized nationally, earning various literary awards. One of her works is considered the best Ukrainian literary work of the last fifteen years. There’s another remarkable author Irene Rozdobudko who has mastered the psychological thriller genre, and a young author Larysa Denysenko, a human rights Ukrainian lawyer and activist, whose satirical comedy Saraband Sarah’s Band is also in our catalogue. A very interesting author Serhii Zhadan writes about the first independent steps Ukraine was making right after the fall of the Soviet state. He talks about the values and social make up that evolved and dominated as a result of these events. All of these writers produce works in the Ukrainian language. And Uzbek Hamid Ismailov’s A Poet and Bin-Laden is being offered in English.